Dr. Nicole Dahlkemper graduated with honors from Allegheny College with her Bachelors of Science in Biological Neuroscience and Psychology. Graduating in the top of her class, she earned her DMD from Case Western Reserve University School of Dental Medicine in Cleveland, Ohio. Dr. Dahlkemper received her fellowship from the prestigious Las Vegas Institute for Advanced Dental Studies (LVI), the world’s premier postgraduate teaching facility, specializing in cosmetic and neuromuscular dentistry. She is 1 of the top 5 youngest dentists to achieve this fellowship in the nation. 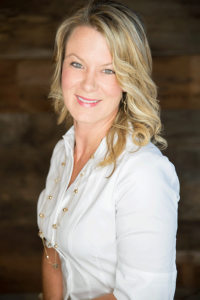 In addition to her LVI training and years of experience, Dr. Dahlkemper is a member of the American Dental Association, the South Carolina Dental Association, American Academy of General Dentistry, American Academy of Facial Esthetics, American Academy of Sleep Medicine, and American Academy of Dental Sleep Medicine. In March 2015, Dr. D was awarded fellowship with the Pierre Fauchard Academy. This international dental organization recognizes and grows leaders in the dental profession, their communities and society. This honor is presented by invitation only to those who have made outstanding contributions to the dental profession and served their communities in an honorable way. Dr. Dahlkemper relocated to Mt. Pleasant from Washington D.C. in 2010 and enjoys spending time with her husband Toby, son TJ and their 3 dogs. She also volunteers her time at the East Cooper Community Outreach Dental Clinic and enjoys giving back to the community. Dental treatment is an excellent investment in an individual’s medical and psychological well-being. Financial considerations should not be an obstacle to obtaining this important health service. Being sensitive to the fact that different people have different needs in fulfilling their financial obligations, we are providing the following payment options.